Just when it seemed as though Rockstar were gearing up to delay Red Dead Online's original November launch date, it has been revealed that the mode will kick off in beta form Tuesday, November 27, at 1:30PM BST. There is a catch however, as only those who bought the Ultimate Edition will be able to access the mode there and then, as Rockstar stagger its release to include all players later on in the week. Those who played the game on day one will join the fray on Wednesday, whereas those who played it within the first three days of release will be able to jump on the mode this Thursday. Players who joined at a later date, however, will have to wait until Friday before trying out the game's multiplayer component. 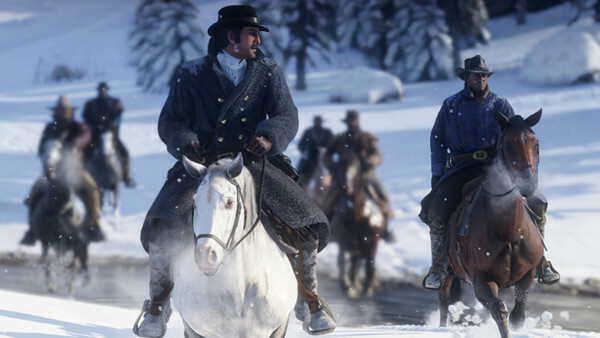 News of Online's launch comes in the wake of players having spotted several achievements for the mode being unlocked overnight, and given how most who've played Red Dead Redemption 2 have now finished the story, it's probably fair to say that Rockstar have timed its release pretty well. As for why the studio have staggered its launch this time around... well, those who recall GTA Online's launch will remember that things didn't exactly go smoothly, with the game mode undergoing several outages and periods of maintenance before it finally started running smoothly a few weeks following its initial release. Players should bear in mind that Online's initial launch will be as a beta, so there'll probably be a deluge of glitches and errors to encounter in the days to come. 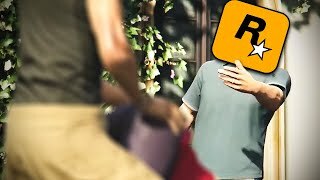 Rockstar have already anticipated as much, stating that "the beta period will allow [them] to deal with the inevitable turbulence of launching any online experience of this size and scale." It's still early days, but it'll be very interesting to see how Red Dead Redemption 2 develops as Online becomes an influence. Will there be single-player DLC? Or will Rockstar base most of Red Dead's post-launch content around an online theme? Only time will tell, but if it's half as successful as GTA's version, expect Red Dead to take on a whole new kind of scale in the months to come.